Our experts in medical service, distribution, and Internet technologies have focused on building a service that will simplify the often difficult task of procuring the equipment and supplies necessary to run the business of the Medical Professionals. We managed through a coordinated and efficient operation, to create an excellent business relationship, both with global suppliers as well as Hi-end manufacturers. On the basis of our experience of the last 22 years we have accumulated a package of resolutions for equipping various medical establishments. 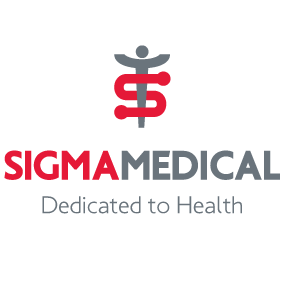 Our clients are confident that working with Sigma Medical will acquire equipment of excellent design and high functionality. Representing the leaders of manufacturers, we provide hi-end medical equipment. Our goal is providing our customers with top-notch medical equipment. Our team of experts will provide the best solution to get everything on time. We can give you a qualified specialist, in person or on the phone, when you need it. Our company's specialized service department, provides professional after sales support. Minimize unexpected costs and downtime. Maximize your peace of mind. Sigma Medical with deep feelings of responsibility and gravity accepts the beginnings of Corporate Social Responsibility and gravity, accepts the principles of Corporate Social Responsibility as they are declared by International Organisms, as they are the same principles that our company is based upon from the first days of its establishment. In this context develops actions aimed at improving the quality of life both through quality products and distributes through its corporate social responsibility initiatives.